I’m really excited about this program that I’m sharing with you today. Family Music for Ages 4-7 at home with Musik at Home is an awesome way to actually do music with your kids without having to leave home! I (Gena) have been teaching a wonderful music and movement curriculum called Musikgarten for over 20 years. I’ve taught it in the public school system, in classes at my own home, and at different homeschool co-ops we’ve been in. I love this program, and all eight of my kids did it. I am sure that it helped them with their present musical literacy and talents. But, I know that lots of moms don’t have the opportunity to take their kids to these kinds of Mommy & Me classes. Kathryn Brunner of Musik at Home has now made music education for young children more accessible than ever by bringing these Musikgarten classes to video. You can do them with your own kids (with her and her kids) in the comfort of your own home! If you have a child between the ages of 4 and 7, you are going to love this! Enrollment is now OPEN for the new Musik at Home class series, Family Music for Ages 4-7. 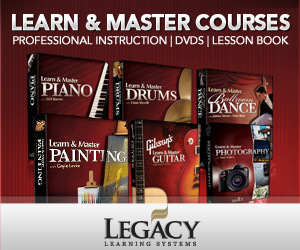 In this class series, your child will learn to read and write rhythm notation and create compositions. He or she will participate in over 150 fun activities for musical development. And, your child will move, dance, listen, imagine, play and enjoy learning new musical concepts that lay a solid foundation for musicianship and prepare students to learn an instrument. Classes are designed for children to complete alongside a loving grown up. For this week only, class enrollment is over 50% off the regular price. 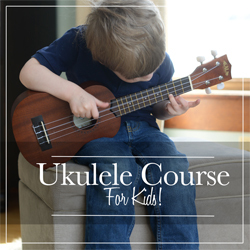 Don’t miss the chance to give your budding musician a strong start! You can enter to win a FREE one-year membership to Family Music for Ages 4-7 plus all of the class materials. It’s a prize package worth $345. Everyone who enters can get a FREE music activity workbook, “My Soundscape Workbook: Sound Exploration for Ages 4-7.” Giveaway ends 10/27/18.